To err is human, and the most common blunder we make is to lock ourselves out of our vehicle, unintentionally. In such a situation, do not be alarmed and call Lock Locksmith Tech for assistance. 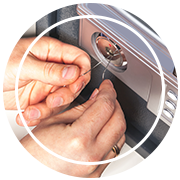 We provide highly skilled auto locksmith services across Arlington, TX and its vicinity. We can solve all your automotive troubles, right from replacing lost keys to reprogramming your transponder keys. Getting stranded on the road is never a pleasant experience. But unfortunately, it is very common and can happen to all of us due to a lost or misplaced key. Lock Locksmith Tech understands the gravity of these situations and sends out its capable locksmiths to your rescue at once. Keys are used on a daily basis which often leads to wear and tear. Your key can turn weak with time and may suddenly break inside the lock, leaving you stranded on the road. If you want to avoid such situations, call our auto locksmiths. We can retrieve broken keys in an instant! Facing troubles with your ignition? Don’t worry! Lock Locksmith Tech is there for you. We lead a team of expert auto locksmiths that can repair all kinds of ignitions with remarkable expertise. We have the right tools, training, and technical technology to ensure superior quality work and zero damage. 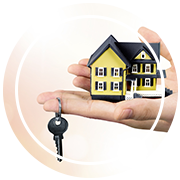 Why choose Lock Locksmith Tech? We love our automobiles. They are not just a big investment for us, but beloved possessions. Hence, it is completely understandable that you would feel anxious handing it over to a stranger. Lock Locksmith Tech professionals have been working on cars for over 10 years and treat your vehicles with the utmost care it deserves. 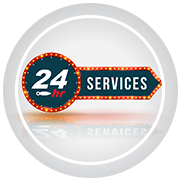 We are there 24x7 to assist you with any type of automotive locksmith emergency and assure you that your automobile is in safe hands. Lost the keys to your car? Is your ignition non-functional? Don’t worry, call Lock Locksmith Tech’s 24x7 helpline and we will send assistance quickly, anywhere in Arlington, TX!